The stock market is sizzling. Companies are touting the bonuses they are giving thanks to lower taxes. And consumers are spending with gusto. But some experts are worried that a sense of invincibility is starting to creep in among investors. Some are acting as if the market will never go down again. "Investors are starting to feel a little too overconfident for my liking," Jamie Cox, managing partner for Harris Financial Group, said in a recent report. "There is a clearly a confidence I haven't seen in 10 years." Cox added that his clients seem more willing to make big purchases like second homes and new cars and to spend more on travel. You could twist FDR's famous quote and say that the only thing investors have to fear right now is the lack of fear itself. CNNMoney's Fear & Greed Index, a measure of seven indicators of market sentiment, is close to Extreme Greed levels. It's true that the market's epic run does little to help many everyday Americans. A lot of people got out of stocks after the dot-com bubble burst in 2000. And if they didn't get out then, the 2008 financial crash scared many away for good. But for the traders and other investors who have stuck with stocks, the market's recent surge has them dreaming about (and chasing) more speculative investments. Vincent Catalano, global investment strategist with Blue Marble Research, said that he's getting more calls from people looking to get rich quick on really risky stocks like cryptocurrency companies tied to bitcoin as well as cobalt miners in Alaska and China. "There's increased interest in pump-and-dump-type stocks," Catalano said. "Sentiment is quite ebullient." In a tweet last week, Catalano noted some research from the well-regarded investment firm The Leuthold Group that shows that the broader market tends to pull back a bit following periods of extreme investor optimism. Catalano isn't worried that a major crash or bear market is coming. He said continued low interest rates should be good for stocks. And market leaders like Apple (AAPL), Facebook (FB) and Google (GOOGL) are all expected to keep posting strong earnings. But stocks are getting more expensive and reflect much of this optimism already. "You may want to be cautious right now," Catalano said. "Fundamentals are good, but that's priced in. I'm a little uneasy. The music is playing and I'm dancing, but I'm staying close to the door to get ready to exit." Others are starting to get a little more nervous, too. Katie Stockton, chief technical strategist with BTIG, said in a report that market sentiment is one of several indicators that has "reached extremes that warrant some attention." 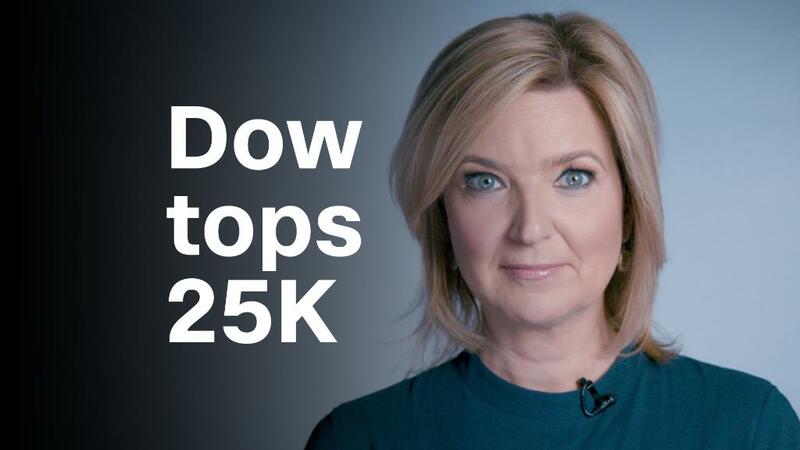 "Sentiment is usually the biggest risk to the market from a technical standpoint, and it is currently too complacent," she said. In other words, there can be too much of a good thing.